The luxury family and dog friendly hotel in the Northern Lake District. Close to both the fells and lakes and the beautiful west Cumbrian coast. The excellent hotel accommodation and restaurant make this the perfect base to explore the Lake District. Our Country House Hotel is a Grade II listed building with 30 well-appointed en-suite bedrooms, a bar, conferencing upto 200 and an ideal wedding venue for up to 300 people. It is set in five acres of tranquil landscaped gardens with Italian fountains. Our Country House hotel has been beautifully refurbished to provide luxurious accommodation and facilities. Our Luxury Country Hotel in located in the village of Cleator in the Lake District. It is close to the seaside village of St Bees on the lake District coast. 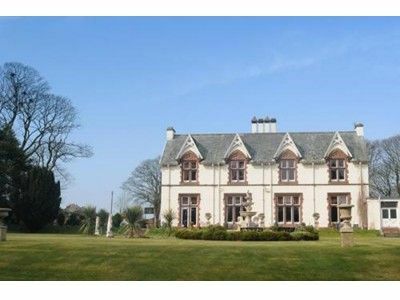 For more information or to book Ennerdale Hotel Luxury Pet Friendly Hotel in the Northern Lake District, please click on the 'Visit our Website' or 'View Availability' links above.We hope you enjoy your visit to Cleator, in Cumbria. Please see the map below for our location and links to local attractions and things to do in the area. Located in the village of Cleator.